Featuring a striking exterior composed of different types of wood. 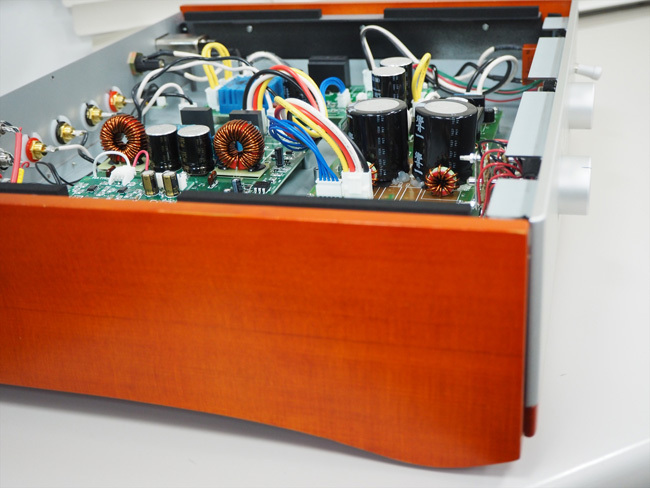 This amplifier was designed by SPEC based on the premise that the amplifier is its own musical instrument. By using lots of wooden elements, the RSA-G3EX portrays a rich sound with an organic touch. 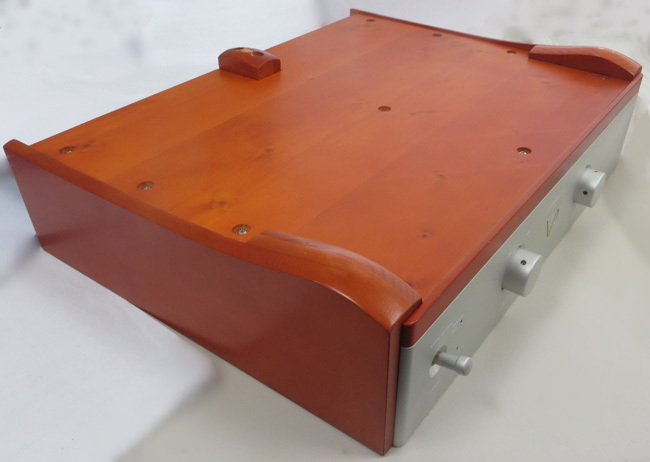 The wooden exterior consists of three-layer side panels resembling the shape of a violin and the wide, solid spruce panel at the bottom, which serves as the base of the amplifier. Due to this structure, the RSA-G3EX portrays natural, organic sounds in which you can feel the warm, enriching touch of wood. The RSA-G3EX portrays acoustic, elegant mid-bass frequencies, adding richness, warmth and comfort to make your listening experience truly special. 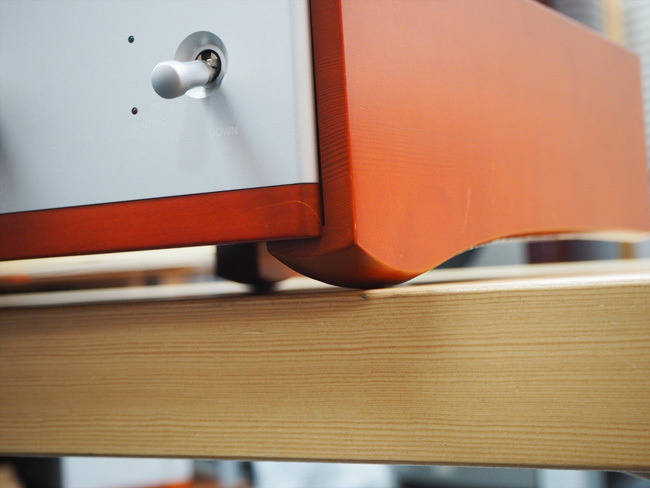 Spruce dampen the vibration of chassis suitably and resonated with a music signal like a violin. 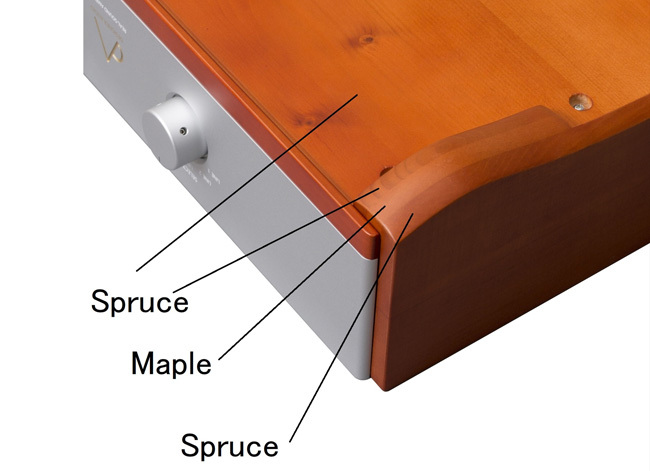 Maple is a tougher type of wood, therefore it suppresses vibration and supports the weight of the chassis. As you may know, Spruce and Maple materials are used in string instruments as well. Grounding part is processed into a curved shape. As a result, the entire weight of the amplifier is carried by only Maple wood. This design-choice is fundamental in controlling resonance and damping. 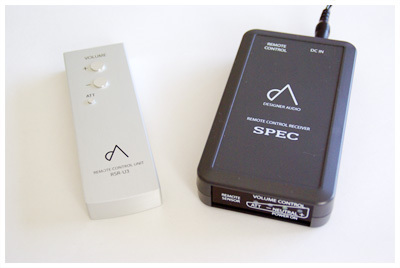 The basic technologies of the RSA-G3EX are "Audio class switching power supply" and "CLASS D technology". These technologies send energy from AC-INPUT to SPEAKERS with greater speed. In addition, because the “CLASS D” has a high driving ability, it can drive speakers with pinpoint accuracy against counter-electromotive forces. This allows you to truly feel the passion in the music itself. The signal flow is entirely composed of analog circuits except for the switching stage. This makes natural, delicate and faithful reproduction possible. We are always looking for the best parts for sound quality especially for class D.
For the RSA-G3EX we utilized “HIBIKI-ICHI” capacitors in the "Audio class switching power supply". “HIBIKI-ICHI” was developed with the goal of rapid response and natural tone in mind, in collaboration with world renowned capacitor manufacturer "NICHICON". The “HIBIKI-ICHI” brings out even more texture for a more musical sound. You can see the JAPANESE KANJI on the surface of the capacitor. This KANJI is pronounced as "HIBIKI-ICHI", and ‘’HIBIKI” means vibrancy.